Digital flight logging is on the rise and for many commercial pilots it’s the answer to keeping on track of your admin, especially with apps that can now connect and integrate directly with your roster. Flight logging remains a legal requirement for pilots and with all of your flight log often stored on the cloud, we look at the importance of printing those digital hours too. 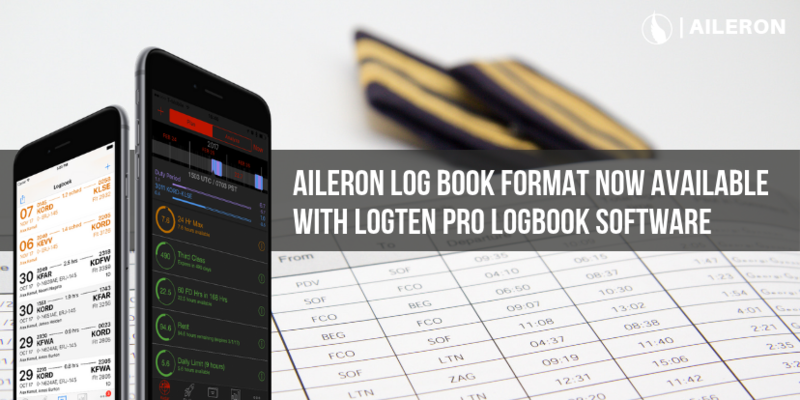 Professional pilots using LogTen Pro to digitally record their flight hours are now able to create a physical and personalised Log Book with luxury aviation retailer Aileron. If you’re looking to pursue a life-long dream of becoming a professional airline pilot, then you’ll be faced with finding the right flight school to take you through to the right-hand seat of a commercial airliner. But with so many routes and schools across Europe, where do you start? It’s no wonder people choose flying as a career, seeing the world from above is quite unlike anything else. When pilots aren’t flying, they're usually thinking about it. We’ve scoured the globe to bring you some of the most jaw-dropping pilot holiday destinations. Add them to your pilot bucket list, and forget the fly-drive holiday and think fly-fly holiday. Internships are key to building and gaining valuable work experience as a student and can help set a strong foundation for future careers. Flying during the World Cup Final? Making it through pilot training may seem like the hard part is finally over, but now it’s time to find a job and in the world of aviation that’s not always as easy as it sounds. The journey to becoming an airline pilot begins in the classroom. Whether you have chosen to complete a distance learning course or a more intensive option like an integrated route, ground school will be a test of your motivation and determination. To celebrate its first birthday Aileron is offering an exclusive discount throughout June and a new limited edition leather, Borealis Blue. A career as a pilot is an esteemed profession, hidden behind a closed flight deck door that attracts plenty of curiosity. We've launched our corporate aviation community, now offering personalisation and wholesale services for aviation organisations including flight schools and clubs, as well as training and regulation bodies. ​Aileron is used by aviation organisations for personalised awards, training issue and graduations. Want to be our CEO? Aileron is looking for someone with an entrepreneurial spirit - a self-motivated and organised candidate looking to take the controls of an aviation retail start up business as part of our International Business Development Internship. V-speeds are standard terms used to define airspeeds important or useful to the operation of an aircraft and core knowledge required for the Performance module in ATPL Theoretical Knowledge. Luxury aviation retailer Aileron has teamed up with #1 Crew App RosterBuster to offer exclusive deals to flight crew. For the fortunate,Christmas is a time spent at home surrounded by friends and families – but the travel industry never stops, so what does Christmas day look like for a long haul pilot? Pilot rostering has been a hot topic this year, even in national media, thanks to the Ryanair issues in September, and now to American Airlines which, thanks to a scheduling glitch, allowed all pilots to take holidays at the same time and has left thousands of flights during the busy holiday travel period without pilots assigned to them. An aircraft livery- the colourful graphic insignia painted on an aircraft - is a tradition in commercial aviation and to this day is perhaps the most distinctive and significant characteristic of an airline.